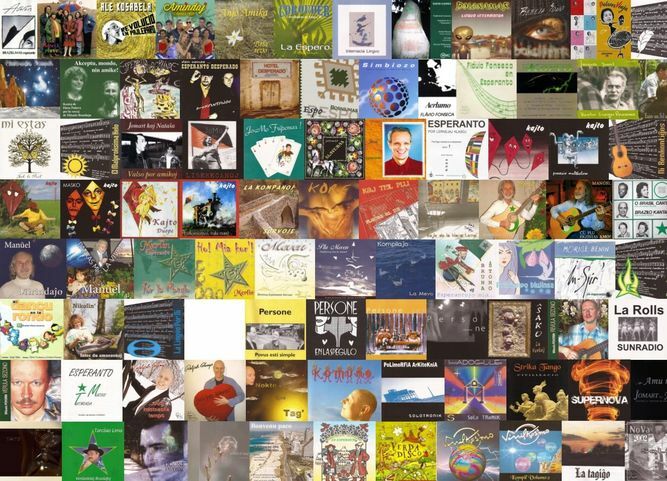 Have you ever heard music in Esperanto? Did you know that important artists of different nationalities recorded songs in this language? Among them, Dolores Duran (Brazil), Morice Benin (France), David Gaines (USA) and many others. And hundreds of artists, of all styles, all over the planet, every day are recording more and more songs! There are millions of people on the planet who speak Esperanto, and the number keeps growing. Why not take advantage of this expanding market to spread Brazilian music around the world? And spread Esperanto to Brazilian music lovers? 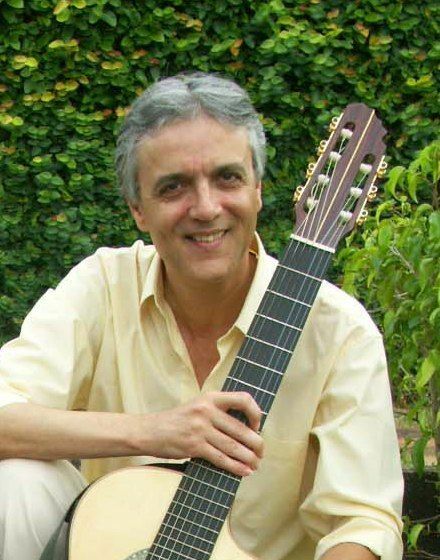 For this, Brazila Kolekto (www.brazilakolekto.com) was created, which brings together several Brazilian songs translated into Esperanto, with chords for guitar or other instruments, videos, sheet music and much more. There are more than 300 revised versions, with the same original metrics, so they can be sung. Translators are poets and writers, Brazilian or not. Versions are sorted by author, translator, genre, etc. And every week more songs are added (the collection is big...). Brazila Kolekto has the support of the Brazilian League of Esperanto, the main language organ in the country. and so we can continue and expand this work. We want to increase the team, the collection, the variety. with professional quality (like the one at the top of the page). When you become a patron of Brazila Kolekto, you will receive a monthly reward from among the offered in the next column. In addition, of course, the satisfaction of collaborating with an initiative of important cultural value. Just click on Become a Patron at the top of the page, or right on the exclusive reward you've chosen. Patreon presents easy step-by-step instructions. Payment can be by credit card or PayPal. And do not worry: if you need to unsubscribe, the process is simple as well. Oh, and do not forget to share and spread it! You'll find in the collection songs from: Ary Barroso, Baden Powell, Caetano Veloso, Chico Buarque, Djavan, Dorival Caymmi, Gilberto Gil, Ivan Lins, Luiz Bonfá, Milton Nascimento, Pixinguinha, Roberto Carlos, Tom Jobim, Villa-Lobos and many, many others (More than 200!). Among the lyricists there are renowned poets of the Portuguese language, such as Carlos Drummond de Andrade, Cecília Meirelles, Ferreira Gullar and Manuel Bandeira. All videos produced by Brazila Kolekto will be hosted on our YouTube's channel and embedded in www.brazilakolekto.com. YouTube pays copyright to the composers with monetization. All supporters will have access to the accounting of how much was earned and spent. 1. To spread Esperanto - its beauty and its advantages - to the lovers of Brazilian music. 2. To spread Brazilian music abroad. 3. Provide supporting didactic material. The songs can be used by teachers of various disciplines, enriching their classes. 4. Provide high level entertainment. a) The international Esperanto language is present in almost every country in the world, and there are millions of speakers. b) Throughout its more than one hundred and thirty years of existence, the Esperanto movement has developed a network of cultural and administrative associations, independent schools, publishers, record companies, communication companies and others, which facilitates the dissemination of any informational and artistic material. c) Because of its unique characteristics, Esperanto has attracted to itself intellectuals and people who are distinguished by cultural activity, such as writers, artists, educators, linguists and thinkers in general, who are potential opinion makers. d) It is a beautiful, sonorous language, suitable for music and that combines well with the particular sonority of the Brazilian songs. e) Because it is a language much easier than the Portuguese, we will make the lyrics of the songs more accessible, so they'll can receive the same appreciation and admiration abroad as the Brazilian melodies and harmonies. This project is being coordinated by Flávio Fonseca, composer, conductor and music producer. Flávio recorded several albums, produced albuns for other artists, performed shows in Brazil and abroad, composes tracks for theater, dance and cinema. He worked with the Philharmonic Orchestra of Brasilia and other orchestras, and with important artists on stages and studios. Ĉu vi jam aŭdis brazilan muzikon en Esperanto? Ĉu vi konas la aŭtorojn, la buntan stilaron, la kulturan riĉecon de Brazilo? Tial estas kreita la retejo Brazila Kolekto (www.brazilakolekto.com), kiu arigas brazilajn kantojn esperantigitajn, kun akordoj por gitaro aŭ alia instrumento, videoj, partituroj kaj multe plu. Tie troveblas pli ol 300 versioj reviziitaj kaj kanteblaj. La tradukintoj estas poetoj kaj verkistoj, brazilaj aŭ ne. La versioj estas klasitaj laŭ aŭtoro, tradukinto, muzikstilo ktp. Kaj ĉiusemajne pliaj muzikaĵoj estas aldonataj (la kolekto estas granda...). Brazila Kolekto havas la apogon de Brazila Esperanto-Ligo, la plej grava esperanta institucio en Brazilo. por ke oni ĝin daŭrigu kaj ampleksigu. La intenco estas pligrandigi la skipon, la kolekton, la varion. kun profesia kvalito (kiel tiu en la supro de la paĝo). Fariĝu abonanto de Brazila Kolekto, kaj ĉiumonate vi ricevos rekompencon, el inter la pluraj ofertoj videblaj en la apuda kolumno. Krom la ĝojo kunlabori kun altvalora kultura iniciato, kompreneble. Simple klaku sur Become a Patron, en supro de l’ paĝo, aŭ rekte sur la speciala rekompenco elektita de vi. Patreon, kvankam ne esperantlingva, prezentas facilan procezon. La pagon vi povas fari per internacia kreditkarto aŭ PayPal. Kaj trankviliĝu: se iam vi bezonos interrompi vian abonon, la procezo estas same simpla. Ha, kaj ne forgesu disvastigi la kampanjon! Troviĝas en la kolekto kantoj de: Ary Barroso, Baden Powell, Caetano Veloso, Chico Buarque, Djavan, Dorival Caymmi, Gilberto Gil, Ivan Lins, Luiz Bonfá, Milton Nascimento, Pixinguinha, Roberto Carlos, Tom Jobim, Villa-Lobos kaj multaj, multaj aliaj (pli ol 200!). Sendube menciinda estas la inkludo de muzikaĵoj kun tekstoj de gravaj poetoj de la portugala lingvo, kiel Carlos Drummond de Andrade, Cecília Meirelles, Ferreira Gullar kaj Manuel Bandeira. Ĉiuj videoj produktotaj de Brazila Kolekto estos gastigitaj en propra kanalo ĉe YouTube kaj enigitaj en www.brazilakolekto.com. YouTube havas akordon kun ECAD (la brazila institucio pri aŭtorrajtoj) kaj pagas la aŭtorrajtojn per monigsistemo. Ĉiuj subtenantoj havos aliron al la kalkuloj pri kiom estis ricevita kaj kiom estis elspezita. 1. Diskonigi Esperanton — ĝian belecon kaj ĝiajn avantaĝojn — al amantoj de brazila muziko. 2. Diskonigi brazilan muzikon kaj kulturon al alilandanoj. 3. Disponigi la retejan enhavon kiel komplementan instrumaterialon. La muzikaĵojn povos uzi instruistoj de diversaj studobjektoj, por riĉigo de lecionoj. Tiun ĉi projeton kunordigas Flávio Fonseca, komponisto, muzikestro kaj muzikproduktoro. Flávio registris plurajn albumojn siajn kaj de aliaj artistoj, koncertis en Brazilo kaj aliaj landoj, verkas por teatro, dancspektakloj kaj kinfilmoj. Li estris kaj muzikaranĝis por Filharmonia Orkestro de Braziljo kaj aliaj orkestroj, kaj laboris kun gravaj brazilaj artistoj. You will receive monthly by email a pdf booklet with the lyrics published that month. Vi ricevos perrete ĉiumonate pdf-bultenon kun la muziktekstoj publikigitaj en tiu monato. (EN) Production of one video clip per month, paying only musicians, studio, film crew and editing. Not ideal, but a good kick start! (EO) Produktado de po unu muzikvideo monate, pagante nur muzikistojn, studion, skipon de filmado kaj muntadon. Tio ne estas ideala, tamen bona start-ŝoto!